I'll never forget the year 2016. It's the year God equipped our Life Team at Fair Oaks Presbyterian Church in Sacramento, CA for the ministry we'd been passionate about since 2011. He blessed us with ministry leadership training from Churches for Life, followed immediately by Making Life Disciples curriculum by Care Net. For several years, our team of ten women had faithfully prayed with the local 40 Days for Life, led Bible studies on the dignity of human life, and organized bottles for life campaigns. We were also a chapter of Presbyterians Protecting Life (PPL) and our pastors recognized and valued us. We lacked structure or consistency. We were outside the mainstream of other ministries at our church. We were overwhelmed by the number of issues in the life arena. In the spring of 2016, I was perusing PPL's online newsletter. I clicked on Churches for Life and it was an electrifying moment for me! Here were others who had developed tools for the same passion we had: equipping churches to stand for life! Finally, here was unique help and support that connected life issues, the gospel, and the church. What is Churches for Life? It’s a gospel-driven, ministry leadership training for Life Teams to graciously equip their church and pastor. A Life Team serves church leaders and is not an added burden to them. They are field-tested, gospel-centered, and effective ways to help churches grow as champions of life in and around their church. Life Teams take our passion for upholding the dignity of human life and develop us into effective leaders. The Churches for Life training is saturated in biblical principles so your spiritual life grows, too! Candidly, before I experienced the Churches for Life training, I was probably on the verge of using my church to end abortion! You see, my passion for ministry was getting ahead of my love for Jesus and His church. Through the training, I began asking myself if my feelings and actions about being rescued by God were finding their way into ministry. I also began to ask God to re-captivate me daily with the glorious truth of His rescuing love. We now have structure. We changed our name from “Choose Life” to "Champions of Life" and wrote a mission statement. We now hold monthly meetings, celebrate our successes, and go deeper in our relationship with Jesus Christ. We are less overwhelmed. We are committed to doing a few things well. From the mission discovery process, we are focusing on the unborn, the elderly, and raising our team's visibility. We seek and incorporate our church leaders' feedback. We celebrate and thank God for success in sowing and fruitfulness. We are now integrated into our church's mission, which is "to worship and glorify God through acts of love and service to others so that they will become disciples of Jesus Christ." Our Life Team specializes in loving and serving men and women in unsupported pregnancies, and the elderly in senior care homes. The goal for all is to see them become disciples of Jesus Christ. We now have ministry partners. We are intentionally building reciprocal relationships with two local Care Net pregnancy centers. Immediately after our Churches for Life training, I led our entire team through Making Life Disciples (MLD). We loved learning how to offer compassion, hope, help, and discipleship to women and men in our church who are faced with difficult pregnancy decisions. MLD depoliticizes the abortion issue by giving churches a ministry response to the crisis. It helped us fit into our church's mission. And, thanks to Churches for Life, our team is equipped to effectively sustain our MLD efforts. 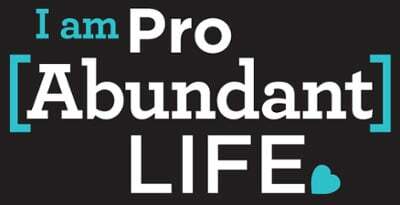 Join a free, national conversation about Life Teams on a webinar I will be presenting for Presbyterians Protecting Life April 19th at 8:00 EST. Amy Scherschligt, B.A., M.A., is a Making Life Disciples Regional Coordinator, a board member of Presbyterians Protecting Life, a leader with Californians For Life (website). She also leads Champions of Life at Fair Oaks Presbyterians Church in Sacramento, CA.